I picked up Rose in the Air (left) which is a pink/purple themed palette along with Not a Basic Peach (right) which concentrates more on oranges and contains a bright blue. 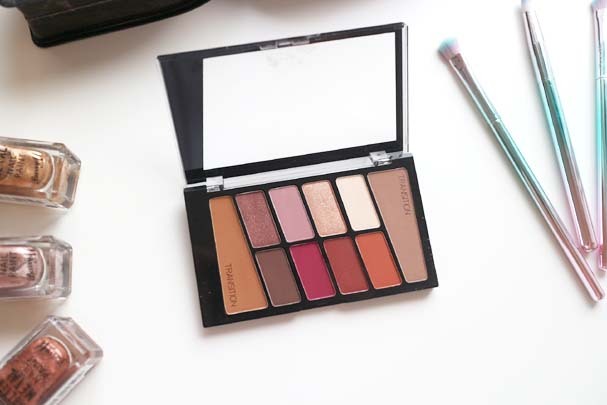 Each palette contains two transition shades and two shimmer shades which tend to complement the various looks each palette can offer. 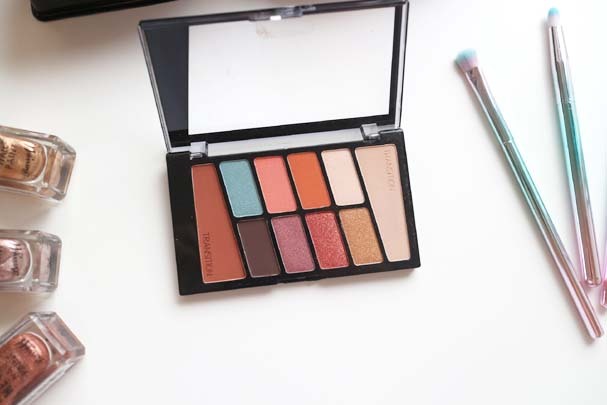 I like pairing the two palettes together as then I tend to have every shade I could need for a daytime or evening look since I'm very much a warm-toned eye fan. 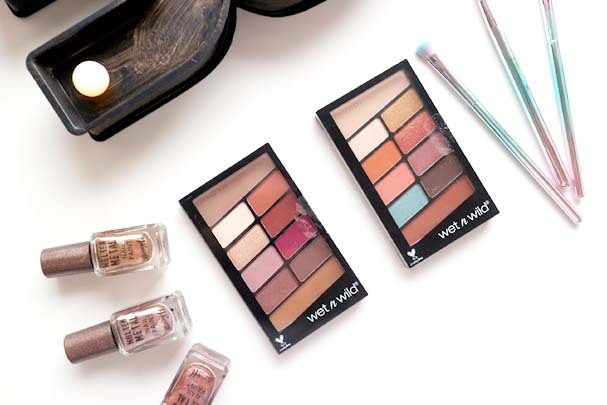 The back of the palettes also tends to be really useful for inspiration, or to newbies as it has two examples of eye looks that you can try - one for daytime and one for a night. On the back, it also shows you where to place each colour as well. 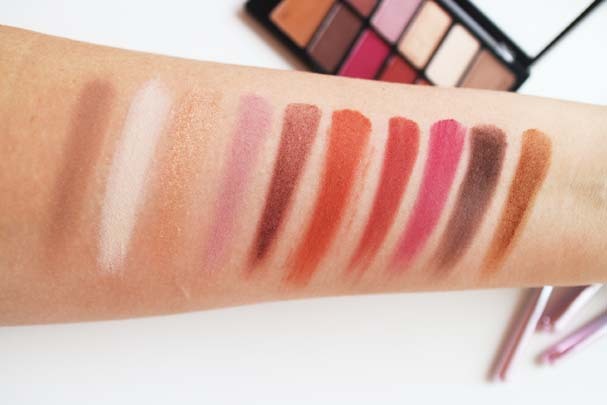 I found the Rose in the Air palette to swatch a little better than the Peach palette but at the end of the day, for $5 each - they are absolutely perfect. 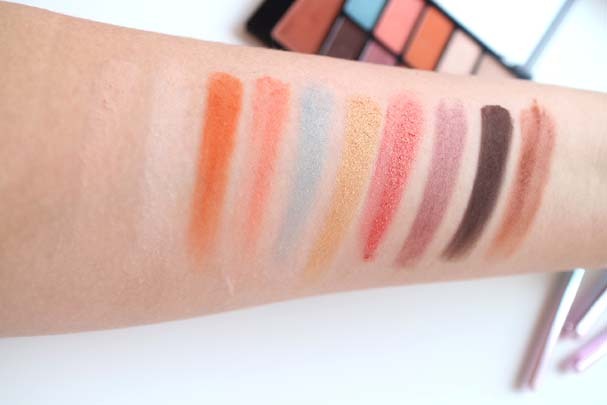 They have a lovely, buttery formula (with a tiny bit of fall out at times) and blend easily which also makes it ideal for those who are experimenting with eyeshadow or need a quick eyeshadow look with no effort. 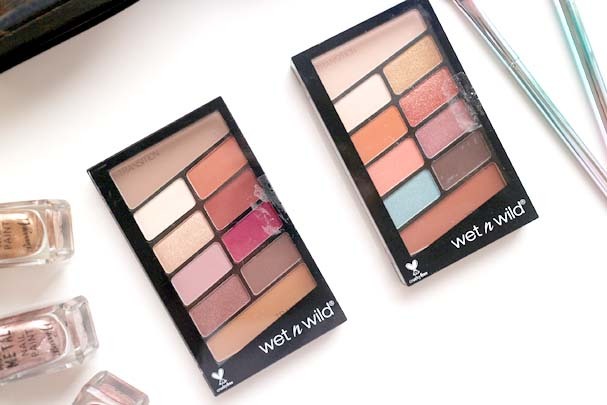 Which palette do you like best?